Napier grass commonly also known as Elephant grass is a tropical wild grass that grows in the African grasslands. Over the years, Napier grass has primarily been used for grazing: as a fodder crop. Napier grass is actually the most important fodder crop in East Africa and other parts of the world. However, as time goes by the wild tropical grass is increasing in usages. It is now used for pest management strategy, prevention of soil erosion, as firebreaks, windbreaks, to produce bio-oil, biogas and charcoal. It has proved helpful to the farmer even by improving soil fertility and in protecting arid land from soil erosion. Napier grass requires low inputs of nutrients and water hence can be planted on uncultivated land. It can also be planted alongside other crops such as maize and sorghum. Napier grass is planted by either using the stem cuttings of the stolon or by seed planting. Seed planting however is quite inefficient hence most farmers prefer using the stem cuttings of the stolon. The stem cuttings are planted along furrows 75cm apart. The Napier grass can be harvested 4-6times in a year. Napier pellets can also be used in production of fuel. Napier grass as a source of fuel can provide about 4400kcal per kilogram (18.4MJ per kilogram). 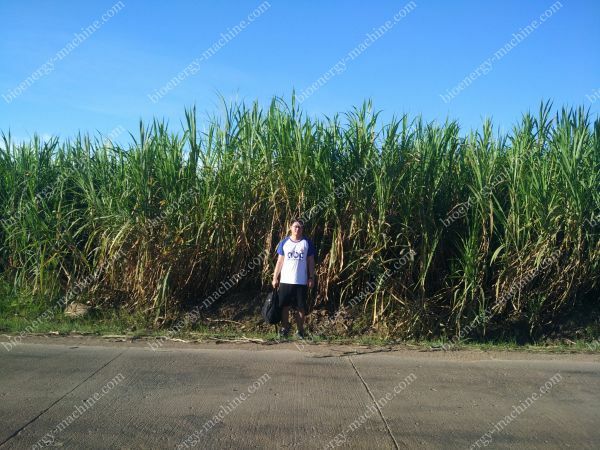 Being a high yield plant, Napier grass is a good resource of biomass raw materials for fuel production. Napier grass is more efficient as a raw material for the fuel production compared to other raw materials. This is because it requires low input of nutrients/fertilizer, it is high yield but with low cost, it requires no special care or pesticide and it are easy to grow. First the Napier grass is dried. Fresh Napier grass contains a lot of moisture. Its moisture content is 75%. 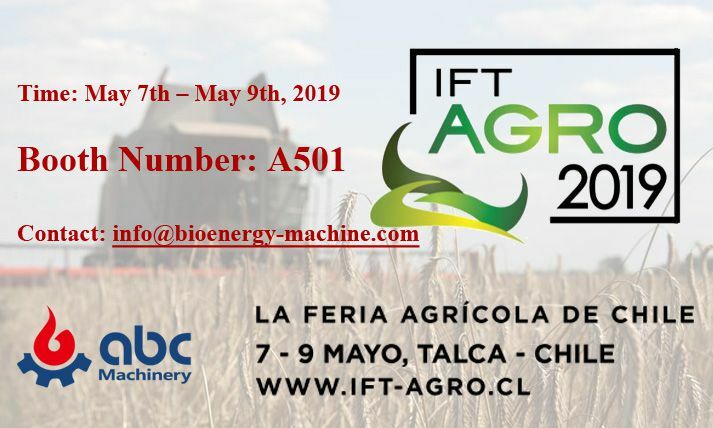 However, for pellet production the moisture content has to be 10%. Hence, the Napier grass has to be dried. It is dried by leaving it under the sun for an hour or two. The dry Napier grass is crushed. The grass is usually 4 meters tall and cannot be handled while that tall. 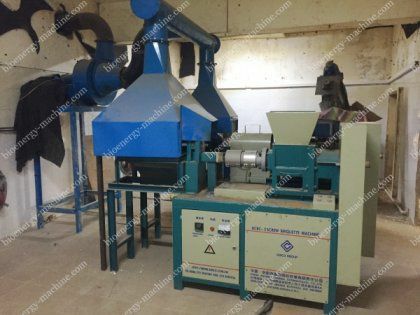 It has to be crushed into smaller sizes no longer than the hole diameter of pellet mills. The Napier grass is crushed using a cutting machine or using a farm knife to cut it into smaller pieces manually. If the Napier grass is a lot simply use the crushing machine which makes the work easier and faster. Pelleting. This is entirely done by the pellet mills. The farmer fills the crushed Napier grass into the pellet mill. 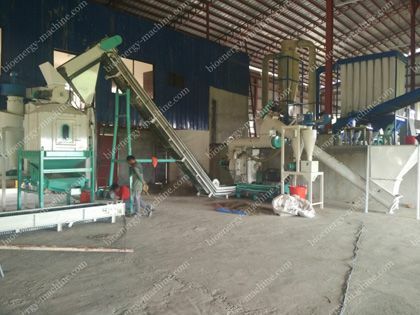 The pellet mill then mixes the crushed Napier grass and molds it into small pellets. The better the pellet mill, the better the pellets. So when purchasing a pellet mill looks out for quality. 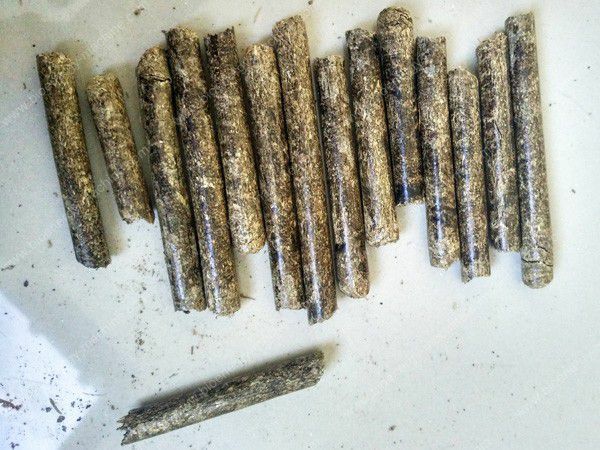 It is advisable to purchase pellet mills from known brands and one that has a proven track record of making quality Napier grass pellets. Cooling the pellets. 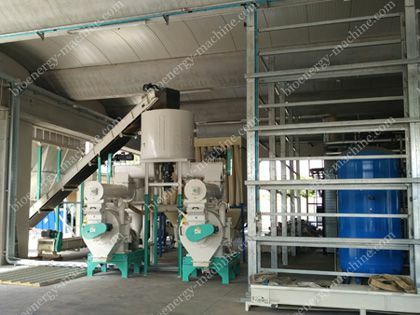 The pelleting process is exothermic. It involves a lot of friction hence producing a lot of heat. Hence, the produced pellets are hot and soft. The pellets need to be cooled in order to harden; this increases their durability. Running cold water over the pellets cools them. Simply place the pellets in a container and run cold tap water to cool them. Packaging and storage. After cooling, the farmer can put the pellets in bags then store in a cool and dry place. The pellets are high density hence making storage and transportation easy. The Napier grass pellets as a source of fuel have high energy content and burn for long. The raw materials are totally renewable and the pellet production cost is clearly quite low. Hence for energy efficiency, use Napier grass pellets as your primary source of fuel. They can be used for heating water and cooking. Large institutions are slowly incorporating the use of Napier grass pellet fuel into their operations. This source of fuel is quite cheap and environment friendly, hence is being used in industrial processes such as industrial water heating.